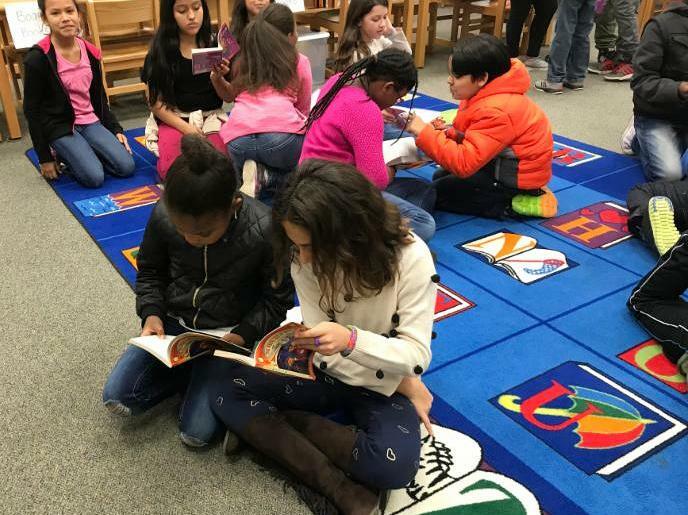 February RIF of NOVA News! 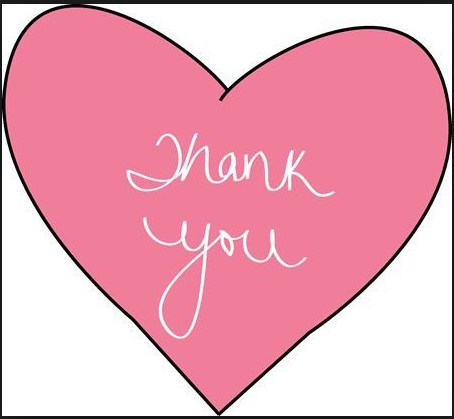 THANK YOU to all the caring folks who donated to RIF of NOVA's annual giving campaign, who sponsored or participated in our 2017 Book it for Books 5K race, or who donated through United Way, the CFC, Giving Tuesday, or Do More 24. Did you know that every $2 we raise actually pays for one book for a child from pre-K through 5th grade? It's amazing to watch a child pick out a book to own -- often for the very first time! So we thank you, thank you, and thank you again! Giving information links are listed at the bottom of the RIF RAP. 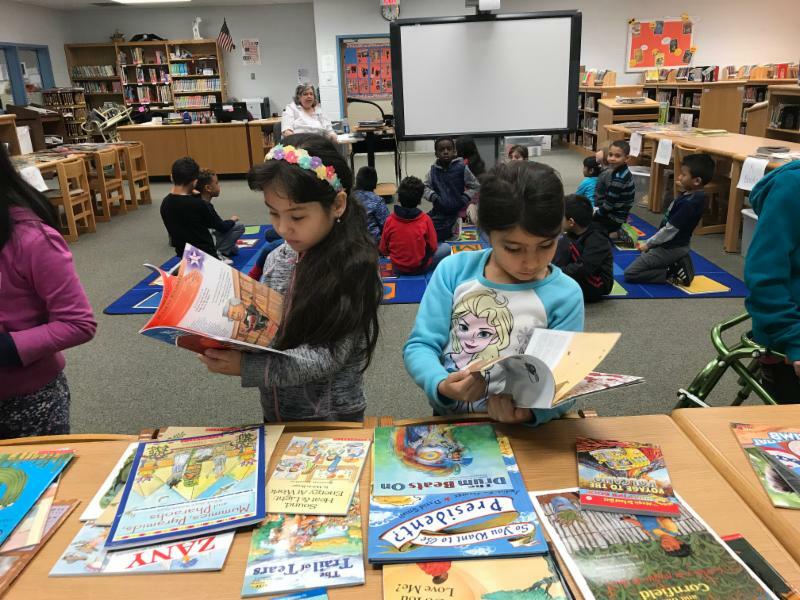 Please continue to give to support literacy for our NOVA children! Black History Month book ideas! ﻿Book Riot honors the month with a top 100 list of children's books to celebrate, newly updated with a list of 25 more! 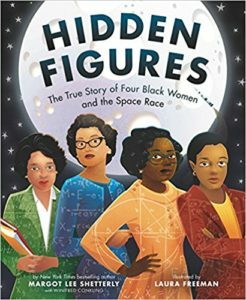 Find the new list, including Hidden Figures, The True Story of Four Black Women and the Space Race, by Margot Lee Shetterly, here. Family Education has its own list of the top 15, and Reading Rockets has a list, too! Check out these and many more! Valentine's Day offers another good reason to read children's books and share messages of friendship and kindness. Even though the day has passed, the stories of love and compassion are good any time! ThoughtCo. has a list of its top 11 Valentine's books that provide positive reinforcement for sharing and being kind to one another. 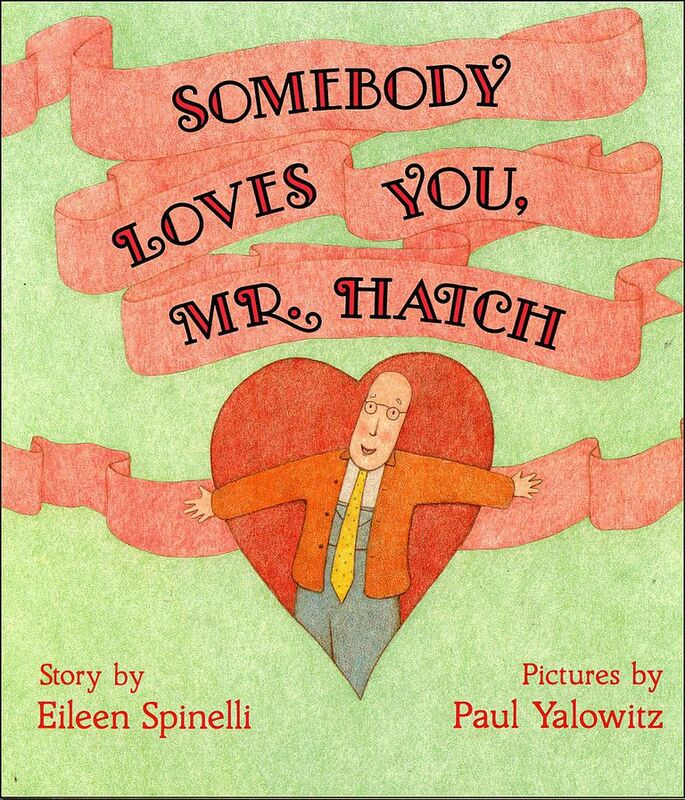 Somebody Loves You, Mr. Hatch, by Eileen Spinelli, is a modest picture book with a terrific message about loving kindness and caring for others. We Are Teachers has a list of 24 top Valentine favorites. 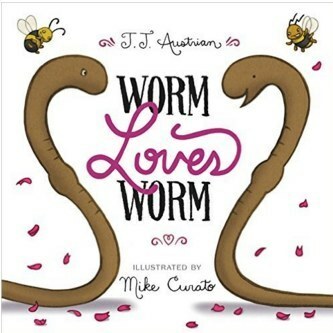 Worm Loves Worm, by J.J. Austrian, is one of them. 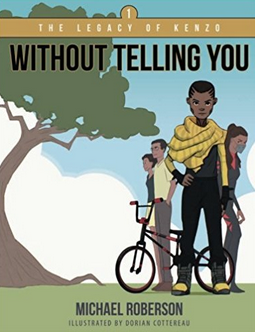 It's a delightful picture book that is a celebration of love -- with messages about equality -- in all its splendid forms. 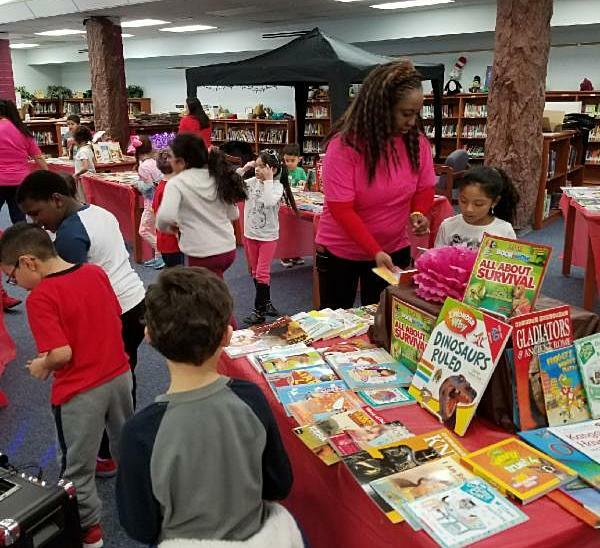 Speaking of love, John Adams Elementary School in the city of Alexandria held its RIF of NOVA distribution with the theme, “The Love of Reading." Fifth grade students were asked to complete a project reflecting their love of reading based on a favorite book choice. 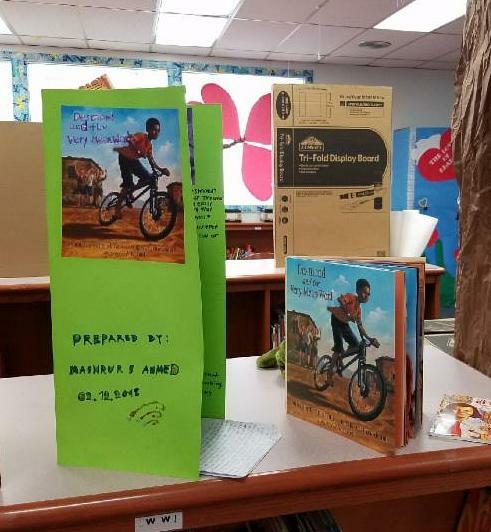 To win a prize, students could create a poster, a pamphlet, or a book trailer with pictures and narrative to illustrate their knowledge of the book they selected. 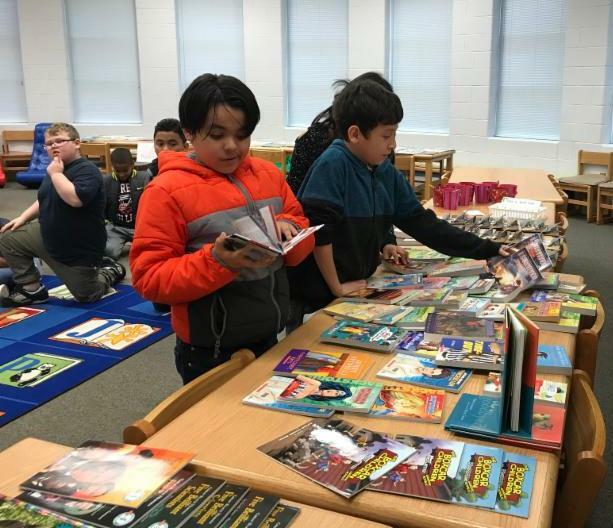 What a great way to share the love -- of reading! 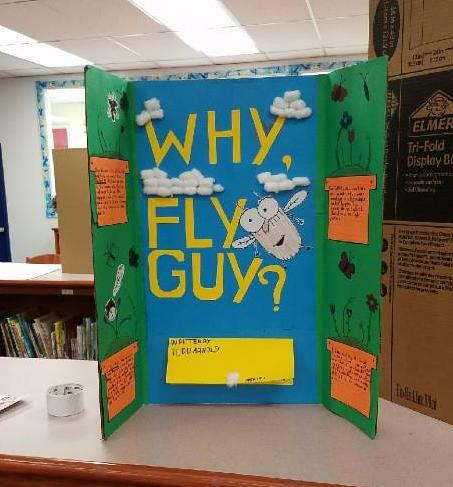 One student prepared a poster about the book Why, Fly Guy?, by author Tedd Arnold, in which Fly Guy asks over fifty "why?" questions! Why do I have to brush my teeth? Why do elephants have trunks? And more! Another student focused on Desmond and the Very Mean Word, a book based on a true story from Archbishop Desmond Tutu’s childhood in South Africa, which reveals the power of words and the secret of forgiveness. 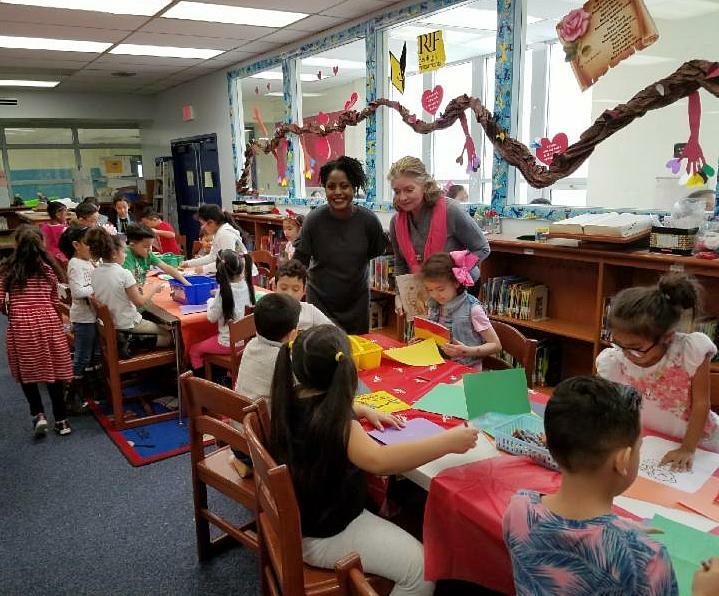 Principal Ginja Canton and RIF of NOVA board member Glenna Orr oversaw a bookmark-making project for second graders. Picking a RIF of NOVA book required some thinking! RIF of NOVA liaison Tsion Bezu was there to the rescue! 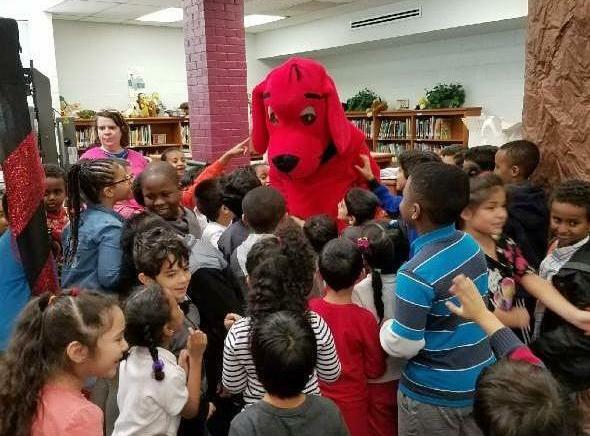 Clifford was there, too. 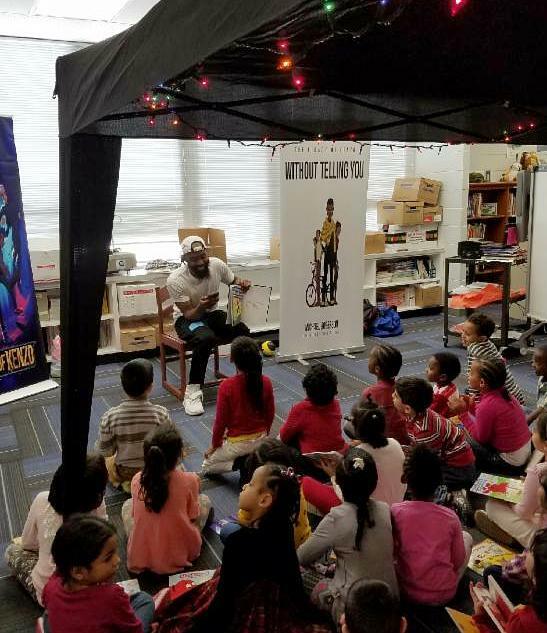 Wherever he went, from classroom to classroom, there was an excited crowd! What's not to love?!!!! All that John Adams love + a guest author, too! 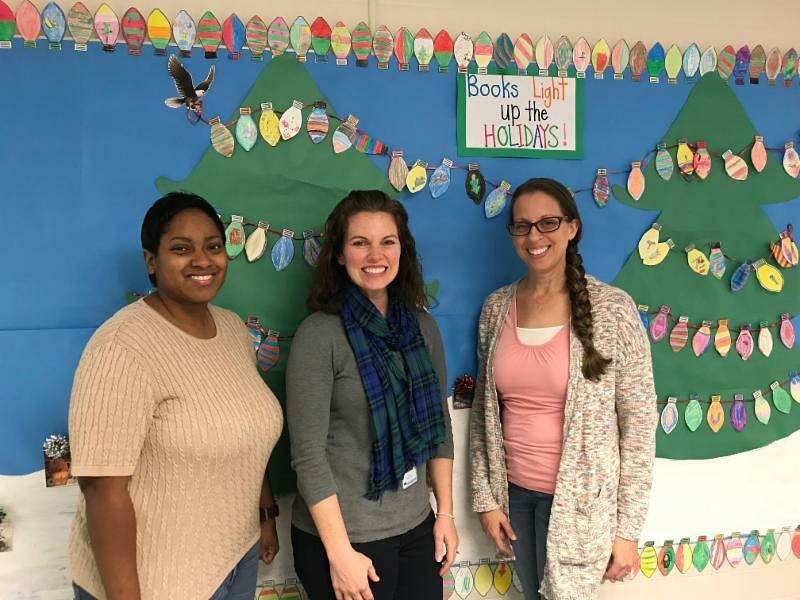 Sinclair Elementary School in Manassas had a de- LIGHT-ful RIF of NOVA book distribution called "Books Light Up the Holidays," created by liaisons Gina Centamore, Kelli Williams, and Erin Gresham. 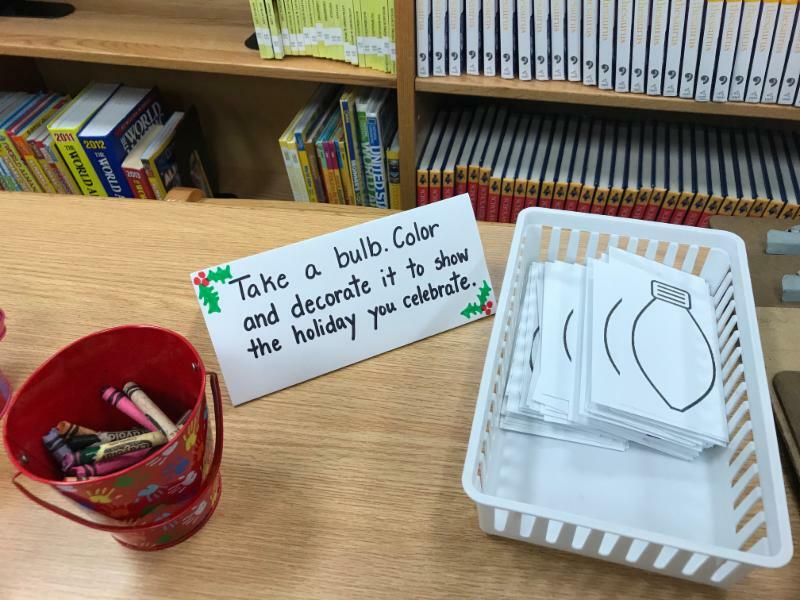 After the librarian read a book to the class, the children colored a light bulb representing any holiday they liked...from Christmas to Kawanzaa to Diwali! ...colorfully decorated trees, along with smiles from the Sinclair reading team! Then, it was time to choose a RIF of NOVA book to take home and read again and again! Wow...this book display is AMAZING!!! Floor time -- time to get together for reading fun! How can YOU contribute to book distributions like these? 1) Donors can give via PayPal on the RIF of NOVA website www.rifnova.org. 2) Send a check to our mailbox: P.O. Box 7012, Arlington, VA 22207-0012. 3) Another way is through smile.amazon.com. Type in Reading Is Fundamental of Northern Virginia, Inc. to select us as the charity you want to support. Amazon will donate 0.5% of your eligible purchases to RIF of NOVA.